At the recent MarketingProfs B2B Forum in Boston, TopRank CEO Lee Odden and SEO client Jiyan Wei, Director of Product Management for PRWeb, presented on B2B Content Optimization Best and Worst Practices to a packed room of business to business marketers. Below is the full Powerpoint deck of the presentation including the Strategy & Tactics as well as the PRWeb case study. 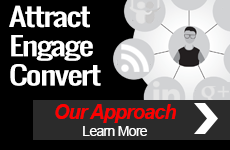 Below that is a video of the Strategy and Tactics presentation taken by Jeffrey L. Cohen of Social Media B2B. The 45 minute video of Lee’s portion of the presentation covers: Content SEO Strategy, Core SEO Principles, SEO Best and Worst Practices. The feedback received was very good, with several attendees rating it one of the best presentations of the conference. 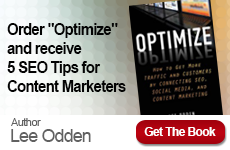 Watch the TopRank Online Marketing newsroom for our upcoming Optimized Content Strategy Guide – 100 pages of what marketers need to know in order to kickstart their content marketing and optimization efforts.